The original Cult Rider is still one of our favourite edits of all time… Dominik Kowalski proudly presents the sequel!! Featuring Cultists Dominik Kowalski and Sebastian Hertler, Filmed by Mr Risch and Rebekka Gemperle. As we have a Professional Stuntman on our team, we can do things like this. 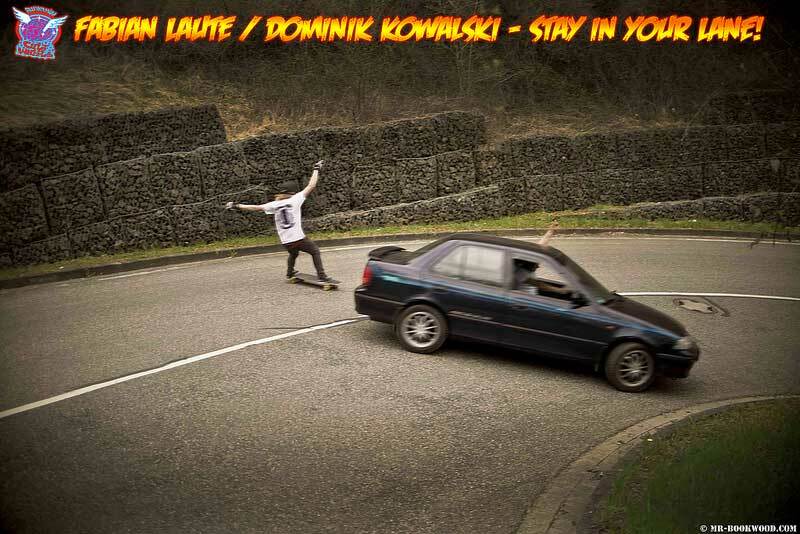 Fabian (skating) and Dominik (driving) keeping it sideways… Thanks to Mr Bookwood for the photo! This is the 3rd slalom podium this summer for Dominik Kowalski. Not content with winning the European Slalom Championships at Riga, he also decided to be 3rd at the Worlds and to win the 2012 Kill Hill race. Something special comes from Dominik… later… Special Thanks to Matej Stefka for the photo! Dominik is going to the European Slalom Championships in Riga this weekend. He will be taking this part of his mind with him. A wheel to honour the mighty Sebastian Hertler. In case you have forgotten, please watch the following message. Dom Kowalski is a professional Stuntman – check him out at 2.06 onwards doing his thing for German TV show ALARM FÜR COBRA 11 Here at the Cult, we do all our own stunts. Proudly taking Dominators, Traction Beams and Death Rays to Victory!